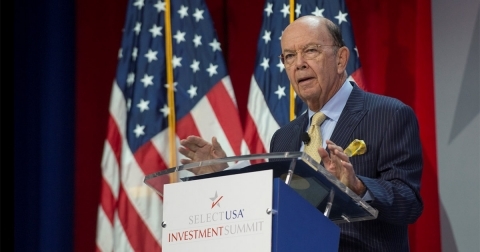 The SelectUSA Investment Summit is the highest-profile event dedicated to promoting foreign direct investment (FDI) in the U.S. The Investment Summit draws high-caliber attendees to help you make connections and get started on business deals. 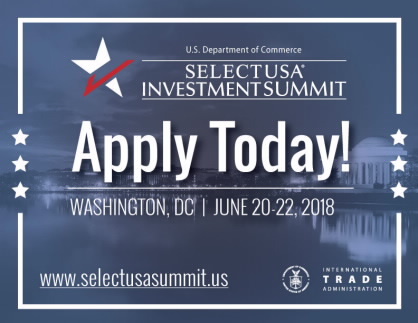 Apply today for the 2019 SelectUSA Investment Summit. Looking to expand your business in the U.S.? SelectUSA UK in collaboration with the Council of American States in Europe (C.A.S.E.) and the UK government’s Department of International Trade (DIT) will be holding a U.S. Investment and Trade Growth Seminar in London on May 25, 2018. Register today and take advantage of the one-to-one meetings with U.S. State Officials to learn how they can support your business expansion in the U.S. Sign up today to join the seminar, view the participating partners and set up meetings. European medical technology company PhysioWizard joined SelectUSA on an investment mission to make contacts and find opportunities in Austin, Cleveland, and Pittsburgh. The company made contacts in three days that would have taken months to generate alone. Watch video on how SelectUSA helped PhysioWiazrd. European medical technology company Raremark joined SelectUSA on an investment mission to make contacts and find opportunities in Austin, Cleveland, and Pittsburgh. The company made contacts with key decision makers to help with its U.S. expansion plans. Watch video on how SelectUSA helped Raremark. 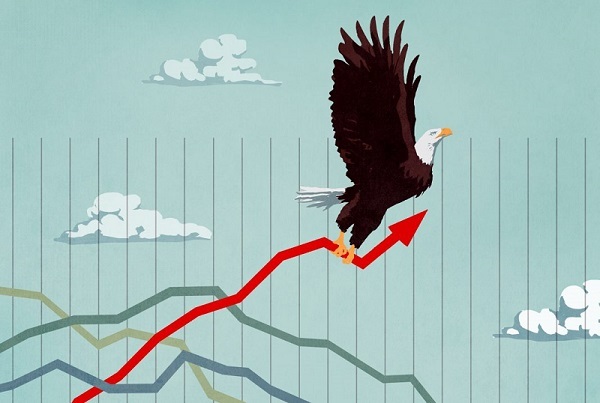 Are you looking to invest in the USA? 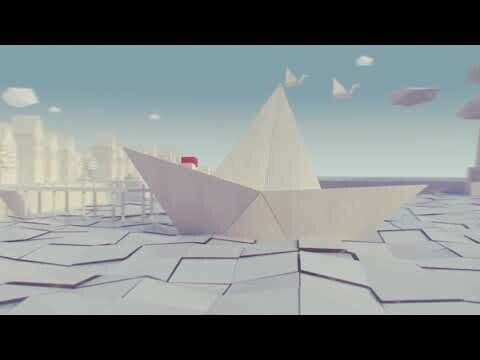 Watch U.S. Embassy London video on why you should attend the SelectUSA Summit, the premier event showcasing investment opportunities in the United States. Featuring senior government officials, C-Suite business executives, and other thought leaders, each Summit focuses on a timely theme related to the U.S. investment environment, industry trends, and new opportunities. The world’s top investment event. The world’s top investment destination. 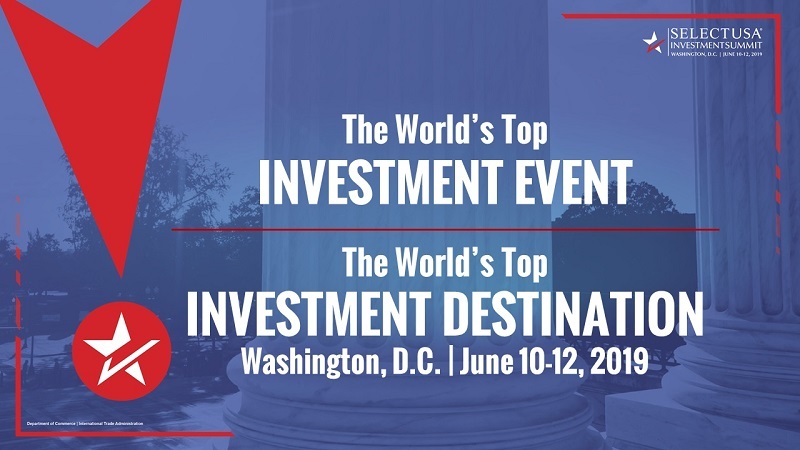 The SelectUSA Investment Summit is the premier event showcasing investment opportunities in the United States. The 2018 Summit will bring together companies from all over the world and economic development organizations from every corner of the United States. Additional information about the 2018 Summit and how to register. The UK is the largest source of FDI into the U.S. Fact Sheet on UK FDI into the U.S.
*UBO: Ultimate Beneficial Owner; the entity at the top of an affiliate’s ownership chain. SelectUSA's last Summit took place in June 2017, and it was one for the record books. Hosted by Secretary of Commerce Wibur Ross, the 2017 Summit saw record attendance: more than 2,800 participants from over 60 international markets. This included over 1,200 global business investors and economic developers from 51 U.S. states and territories. Three Cabinet secretaries, two governors, and multiple high-level CEOs joined Secretary Ross for SelectUSA's best Summit yet. Click here to explore the 2017 Summit highlights.